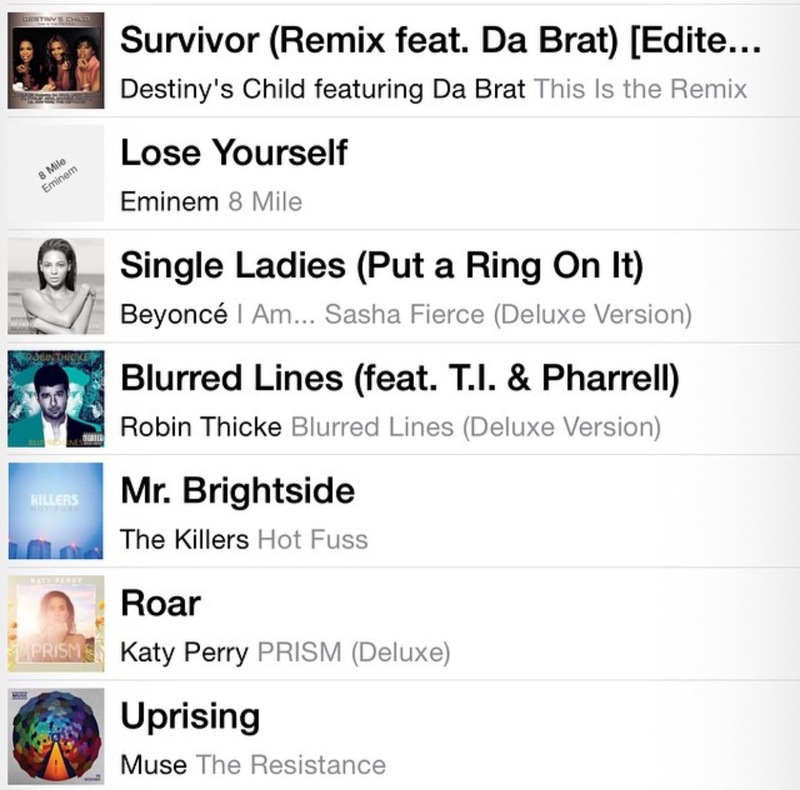 Upbeat, angst, dance, hip hop, rap – these are my favorite genres of music to motivate me through a workout. I like to listen to music at the gym when I’m pushing through a challenging circuit or prefer to drown out environmental sounds. 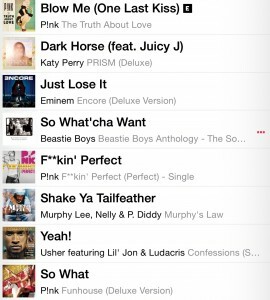 My music varies depending on mood and type of workout. I can dig deep for one more mile when I’m plugged into angst music like Eminem’s “Lose Yourself”; it’s my all time favorite workout song. Killer’s “Mr. 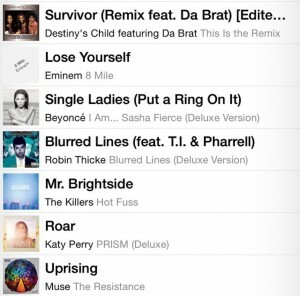 Brightside” and Muse’s “Uprising” are also songs that I can dig into. 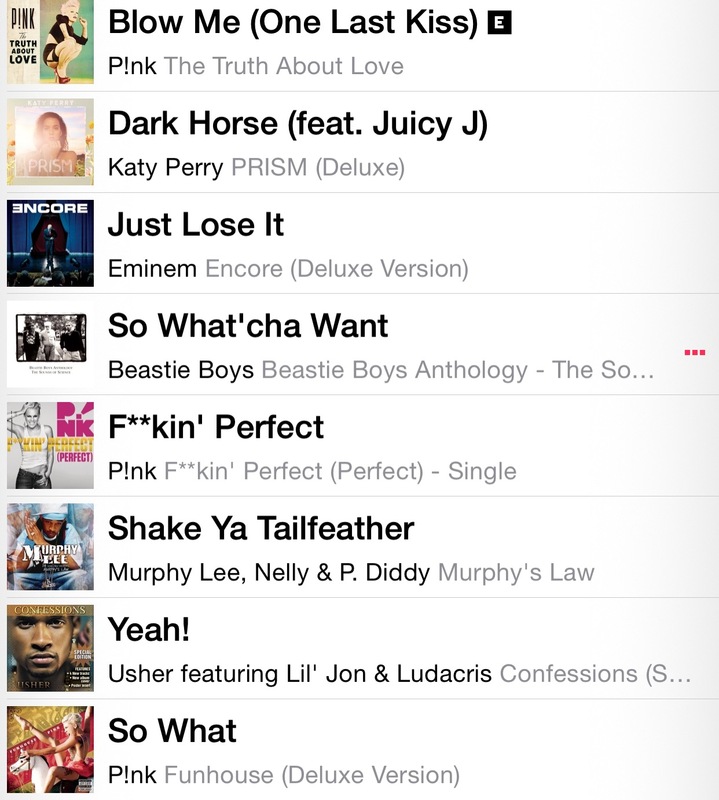 Here are my 25 favorite workout songs – in no particular order. Here’s some newer music I’ve been listening too. 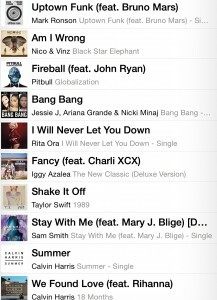 Taylor Swift’s “Shake It Off” is a catchy tune. What’s not to love about it. Share with us, what are a few of your favorite workout songs? Previous PostSee How Consistency Pays Off – Fitness Challenge Winner!